Established in 2018, Burnley.Social is a collaboration project with a mission to show the world what a great place Burnley is to study, live and work. 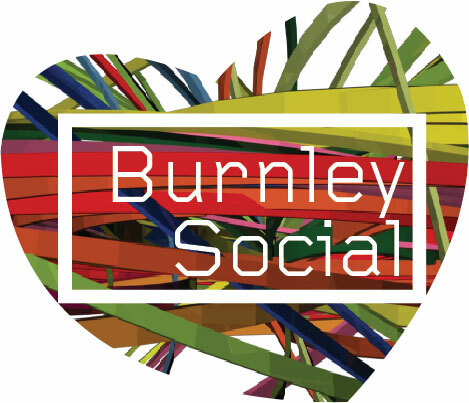 Burnley.Social along with our YouTube, Facebook, Twitter and Instagram channels, shares the latest events and news from Burnley. Did you know… there’s plenty going on here to keep your diary booked up day and night. The Mechanics theatre is the home of live bands, musicals and plays and the town centre bars and restaurants come alive at night – you’ll find everything from a traditional pub to a leisurely cocktail. Take your pick! Did you know… Burnley is home to some world-class DJs such as BBC Radio 1’s Jordan North, Nadia Lucy who spins the decks in Ibiza, Warehouse Project, Creamfields and Matty Robinson who won Decks Factor in Ibiza in 2018. Did you know… the shopping centre in the heart of the town is packed with big name stores, independent boutiques and beauty salons. We’ve even got a crew of influencers who head into town and shop their socks off when new stores open here. Did you know… this impressive sculpture ‘sings’ a distinctive sound that can be heard for miles when the weather allows. Get outside and blow away the cobwebs with a brisk walk to Crown Point, home of the tuneful tree. Did you know… Burnley has been named as the ‘Friendliest Town’ in the UK. It’s the top place for being able to rely on friends and neighbours in an emergency – so don’t worry…we’ve got you covered. Did you know… Barbershops are on the rise and Burnley’s offering is no exception. It’s more than just a haircut here; the atmosphere is electric… literally. Our world-class DJ’s play in Barbershop basements and talented stylists are offering everything from cut throat shaves and beard grooming. A trip to the barbers here is anything but dull. Did you know… as well as football, which Burnley has become pretty famous for, there are loads of other unusual sports to get involved with here. Archery, hot yoga, aerial silks, kayaking, hiking, horse riding and golf… we’ve even got a drumming exercise class. You’ll be spoilt for choice if you’re after something active in this town. Did you know… if you’re looking to tuck into something tasty, this town has it all. From famous family-run Italian’s to British Sunday roasts, speciality coffee shops, tapas bars and award-winning Indian’s, there’s always somewhere new to try with friends. Did you know… we have an area of natural outstanding beauty right on the doorstep in the form of Pendle Hill. Most famous for its links to the witch trials of 1612, it’s also a pretty brilliant place to breathe in the vast expanse of scenery on offer. Did you know… Batch Gin grew from their humble roots in the cellar of a terraced house in Burnley to become an award-winning distiller, creating nationally-recognised bold and innovative flavours with the help of apprentice, Ryan. Did you know… student life in Burnley means you’ll get to enjoy the best of both worlds – a fantastic learning experience set in a stunning modern glass building and the chance to escape on an adventure in between your studies to the miles of open countryside. Did you know…the iconic Burnley Express building has been transformed into stylish, affordable town centre apartments. With its perfectly Instagramable bare brick walls and exposed beams, there are several nods to its historic roots including suites names such as The News Room, The Editors Suite and The Press Room.